One thing is for certain and that is that YOU cannot run your business forever, author unknown. At CBG, we sell businesses for 30%-50% more than other brokers can get and have never breached confidentiality in over 25 years of selling businesses. Yes, over 300 business sales, not “1” complaint, or “1” confidentiality breach. Who else can say that? Do you know what you what your business is worth? If not, we would like to learn more about your business and if you are interested, provide a free business valuation. This way you know what it’s worth now, or what you need to do to get the value you want. Most business owners are comfortable selling or transitioning for the “right price and terms”. What are YOUR price and terms? If you got them in the next year or two, would you sell? Do you know what value it needs to be to have enough money after taxes and fees to move on to something else someday or retire, whenever that may be? Is your business ready to sell? Are YOU emotionally ready to sell now? Why do you want to sell? It should be for the “right” reasons, not just a knee-jerk reaction to a bad day/week. Do you feel you have taken the company as far as you want to and think someone else may be better suited to grow it going forward? How to transfer the business to a new owner without the loss of any customers, suppliers, and employees knowing how delicate and long-standing these relationships are? How do you sell a business and keep it 100% confidential? This is what we can do you for. Please email us at info@companybroker.com (or call 303-382-1900) to learn more. We are 100% confidential and will work diligently to get you the business value that you expect. Looking to sell a Denver business? Please click the link below. There are 30 separate video testimonials of happy Colorado-based business owners who have sold businesses through Company Broker Group. The videos are between 3-6 minutes long each. Please watch them if you can; even if you just watch the first few minutes of each. Thank you for your interest. “Buyers are much better at buying businesses, then sellers are at selling”, author unknown. Don’t let a buyer push you to sell for a low sales price based upon a multiple of the last few years. This will never get you the highest possible sales price. See what we can do for you. Don’t sell your business based upon the “profits of the past” …sell the future potential. Simply put, you need to showcase all the reasons why the business has not performed well in recent years. This is exactly what we try to do at CBG. We strongly believe it is foolhardy to establish the value of a business based upon a multiple of earnings. We have sold hundreds of business for a sales price substantially above a multiple of the past earnings. In short, the highest possible value of a business will happen when you find that 1 buyer that sees to upside potential/growth of your business. Almost any business can be sold for some level of value, the trick is to find that 1 buyer that will pay the highest price who truly “gets it”, who sees the business NOT for what it made over the past 3-5years, but INSTEAD for what it could have made had the current owner done things differently. Also, the broker needs to work closely with the seller to collect all the ideas or improvements that need to be in place to get the business to the next level. Maybe all the business needs are new energy or working capital and the current owner is financially tapped out and/or burned out. Once the buyer fully understands what the business “can be” going forward after these new ideas are implemented and renewed energy from the new owner is in place, then, buyers will always pay a substantial premium. We use a very sophisticated method to quietly and privately bring to a given buyer all this to get them excited and willing to pay the seller a premium. We are experts at painting a mental picture in the buyer’s mind about what life would be like after the purchaser has bought the business and implemented all your suggested ideas to improve the business going forward. We do this through Video, a comprehensive write-up as well as detailed financial projections of the next 3-5 years after all the changes are installed and the business has a fresh new head of steam. Remember, CBG and the seller’s interest are directly aligned to maximize the sales price because the more the seller gets, the more CBG gets. More specifically, you need to be able to paint a picture in the buyer’s mind about what life would be like after the purchaser has bought the business and implemented all your suggested ideas to improve the business going forward. You need to be able to get a buyer excited about, not what the business has been making for the last 5-10 years for you, but instead, what it could have been making if the right decisions were made in the past. Also, it’s great to show what the gross sales and cash flow would have been if the right energy were there in the past, and if it were properly capitalized or had enough money to. Finding this perfect buyer can be hard, but it’s worth the effort since it will always result in the biggest sales price possible. Construction, HVAC, concrete, roofing, asbestos abatement, etc. 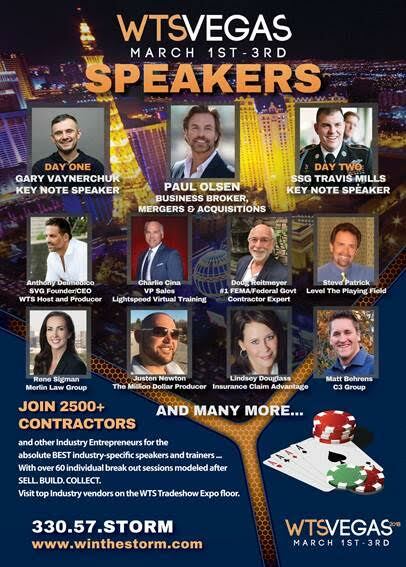 I’m very proud to say that after holding 400 seminars on business sales, I was a guest speaker in one of the largest construction expos with over 3,000 roofing owners in Vegas last March. See me top row center. Company broker group is the number one Colorado mergers and acquisitions company. For almost 30 years now we have been the most successful Colorado mergers and acquisitions brokers. Please inquire about our Colorado mergers and acquisitions team who have assisted Colorado business owners in selling more than 320 businesses in 28 years. Although we exclusively represent business owners in the sale of every business, we work very closely to educate the buyer to help them identify and unlock all the potential of the business. Through these methods, we have taken over business listings from other brokers that sat on the market for 1-2 years with no offers and then sold them in just 2-3 months for 50%-80% more than the original broker could NOT get for the seller. In fact, we have successfully sold for a high price many businesses that were being shut down or were about to be sold to a weak or unsuitable buyer for a rock bottom price. The title of our workshops is called “How to sell your business for 30% more, 50% more, 70% more”. 2. They get approached by a prospective buyer who wants to move quickly. If you’re looking for the best Colorado business broker then look no further. Our brokers seek to net you out more at the closing, with the strongest buyer, than anyone! Company Broker Group is the leading business brokerage and middle-market M&A advisory firm in Colorado. 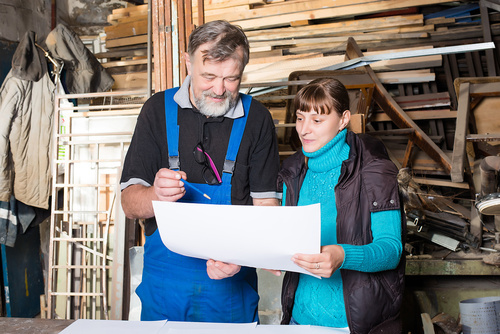 We help Colorado business owners sell their company for the most money with the best terms. When you sell a Denver business with Company Broker Group you get over 40 years of combine experience! Company Broker Group provides Colorado-based privately middle market businesses with comprehensive business brokerage & merger and acquisition services. Our Mergers and Acquisitions professionals have decades of experience in finding optimal buyers and investors for Denver/Front Range business owners. As a professional M&A advisory firm, we maintain close relationships with domestic and international strategic buyers. In fact, in our comprehensive and proprietary buyer database, we have 10,000 buyers who identified exactly what they are looking for in businesses to buy. Our seasoned Mergers, Acquisitions and Business Brokers will help business owners anticipate challenges and understand what must to be done all stages of the transaction. For each owner that seeks to sell, we prepare a customized marketing strategy that presents the company to multiple appropriate potential buyers while maintaining 100% confidentiality. If you are thinking of selling your business or simply interested in learning how best to grow your company for maximum value for a future sale, our M&A seminars will absolutely help you in understanding and demystifying the entire business sales process. Creation of Offering Memorandum, Sales Teasers and Comprehensive Video detailing the Entire Business Operation and “Upside Story”. We are the ONLY Business Brokerage in the industry that uses a propriety approach to prepare and present businesses for sale through multimedia and other models that help a buyer quickly and remotely become aware for the offering and how they may or may not be a good fit for the business. Sell Business – In and Serving: Denver, Colorado Springs, Boulder, Fort Collins, Longmont, Greeley, Pueblo, the Front Range, and all of Colorado. For years we have assisted Denver business owners with Tax Advice on Business Transfers, Business Valuations, Exit Strategies, Transfers to Other Family Members, and How to Build Wealth within your Company and preserve it for when you do decide to sell. Your business may be the most valuable asset you have. Don’t wait to prepare for your sale or family transfer! Plan your Exit Strategy well in advance. We have learned over the years that “buyers are much better at buying businesses than sellers are at selling businesses”. So YOU need to be prepared. If you are Buying a Business, please call us immediately for a comprehensive listing of all of our current Denver businesses. Our office often has as many as 10-15 great businesses being privately marketed among our database of buyers. We will promptly email you a complete sales package, detailing any business that you show interest in. Our Denver Business Broker Office specialty: Sell business with sales over $1,000,000/year. We have advised on many business transactions in almost all industries including; service, construction, manufacturing, wholesale/distribution, road work/paving, cable installation, fire and water damage, light industrial, business-to-business, technology, internet-based, and other professional service businesses. Sell Denver Business: Denver, Colorado Business Brokerage – Middle-Market Business Sales – Mergers and Acquisitions (M&A) – Business Valuations – Exit Planning – Preparation to Sell – Management Buyouts – Family (Children) Transfers – Succession Planning – Tax Planning for Business Sales – Structuring and Negotiating Transactions – Business Consulting. They want a buyer with energy and whose background closely matches the skill-set needed to run their company. Also, they want someone who has strong financial backing so they can grow the business going forward. This is a direct result of our group providing expert advice for business owners, helping them meet the challenge of selling their business. Selling a Denver business and finding the right buyer for your business takes hard work, persistence, and market experience as well. We understand the market in Colorado and know how to get you a high sales price and good terms for your business sale. Take the pressure off you and your family when considering who should be your broker to sell your business. Denver Business Broker, Paul Olsen was the #1 sales Representative for VR Business Brokers in the entire US, with over 650 brokers competing. Want to learn more about the selling and business valuation process? Please call 303-382-1900 to determine if you want to attend a conference or learn more about the selling and business valuation process. Or click here, to provide us with your contact information. We will contact you today to provide you with more information about how we help Colorado and Denver-based business owners sell their business Quickly and Quietly and for maximum value. We try to create value for our customers in every transaction. This typically creates a higher sales price and better terms for you. Since our broker fee is based on final sales price, the more you make, the more we make. It is a win-win scenario for both – our interests are always directly aligned with our customers – in every deal. That’s the way it should be. “Paul Olsen, Business Broker for CBG, has been serving Colorado Business owners for 24 years in all areas of Business Valuation, Consulting, Business Sales, and Exit Planning. Please call him direct at 303-382-1900 to discuss in 100% confidence how he can help sell your business under whatever terms you seek. If you want to talk on the phone or perhaps meet face-to-face, to discuss how best to prepare your business for sale, our group will always be here.”Paul Olsen, the company owner states, “We sell business’s in Denver Quickly and Quietly”. We promise a successful sale. We are fully committed to work as long as it takes to get you the sales price and down money that we have agreed to get you. We seek 100% customer satisfaction”. Company Broker ONLY represents business owners in the sale of their business. We do not represent buyers. We have a unique and proprietary approach to getting a successful close for our business owners. We use a streamlined and personalized Human approach to selling a business. We do not charge up-front fees or retainers; we ONLY get paid when a successful transaction is completed. Our interests are directly aligned with the sellers, and that’s the way it should be. Company Brokers is a full-service Denver Business Broker, M&A Company, and Denver Business Valuations Company. For all your Business Buying and Selling needs. 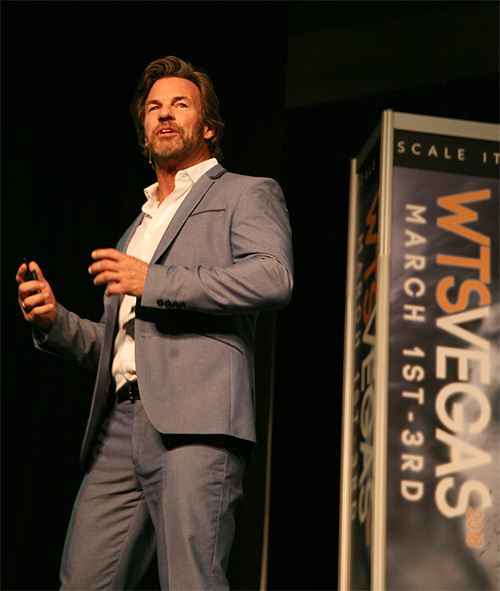 Jeff Chapman, an associate of the company states that Most people who consider selling their business want 3 things. “Other Brokers” suffer a 30% to 35% sale price reduction between listing and closing sales price. Here, the business owner suffers the most, in a reduced sales price. There are 2 reasons for our consistent success in selling businesses ‘quickly and quietly’ and often for greater money vs. other business brokers and Mergers & Acquisitions professionals, and without breaching confidentiality during the sales process. We already have thousands of buyer relationships. To be clear, we don’t represent buyers, but we have spent over 10 years cultivating over 6,000 buyer relationships throughout the country that have a strong interest and in buying a business. These buyers have contacted us on 1 or more occasions to review our business listings. They really like the sales packets that we create and often comment how helpful and useful our videos are to help them understand the business offering and quickly determine their interest level. This saves them tremendous time. Compare this approach to other brokers who “have to go out and get the buyers” for a new business listing. Instead, We can quietly and privately present your business to a select group of buyers that we already know are strongly interested to buy a business and move swiftly to close. Other brokers often have to do 10 or more “showings” to get an offer for the business owner. We only do showings after a potential buyer has watched our comprehensive videos detailing the business for sale. This eliminates unnecessary foot traffic coming through your office that other brokers would be bringing in and saves you time. This can also dramatically reduce the chance of breaching confidentiality. If we set a meeting for you with a buyer, we already know the buyer has seen the business video and learned much about YOU company than what other broker’s marketing packages typically provide. In the end, this ensures that YOU will have fewer showings, wasted less time, and with have a much better chance to meet a buyer that is a serious buyer about YOUR company! We offer financial advice, selling businesses and structuring transactions. We head up a team of experienced Denver Business Brokers and Mergers and Acquisitions specialists. Working with a professional business brokerage team can greatly enhance the gross sales price of your business sale. The closer you examine the arena of selling a business, the more apparent it becomes that Company Brokers should be your first choice. Our office in Denver, Colorado concentrates on businesses whose annual gross revenues are between $1,000,000 and $50,000,000. We have worked with business owners in a wide range of industries. Our team has conducted over 200 educational seminars throughout the Colorado Springs, Colorado Metro Area and The Front Range of Colorado on a wide range of business topics. Call for a complimentary dinner seminar. The main subject is “How to Sell my Denver Business”. Call the Company Broker office at (303) 382-1900 for dates and locations. Your business may be worth more than you imagine. Getting the best price when you sell your business is our top priority. If you are thinking of selling your company… you need a professional advisor in Denver Colorado area who specializes in the sale of middle-market (AKA: “Sell Business, small to mid-size”). Company Brokers has the advantage. Are you considering the sale of your Denver company in the near future? Contact us, we will discuss any issues you might have, and provide an evaluation of your firm’s marketability in today’s buyer climate. We will maintain strict confidentiality and not discuss your inquiry with anyone unless you specifically authorize us to do so. Given time, the value of most businesses can be increased through some fairly easy steps. Also by making these adjustments to prepare your company for sale, the process will go quickly and smoothly. It is best to start preparing your company for sale at least 1-2 months before presenting it to buyers. What distinguishes Company Brokers from other brokerage companies is that we have a private database of over 6,000 “current” buyers and private equity groups that stand ready to buy businesses. Because of this, we can often sell a business by creating a match with buyer candidates without having to “advertise” it which may breach confidentiality. In addition to all of this, we supplement our efforts with marketing and advertising your business for sale. BUT we ALWAYS “mask” the business in such a way that buyers cannot determine that it is you that is selling UNTIL we disclose your company name; and this is ONLY after they sign out Confidentiality Agreements forms. Often, we create a controlled auction among 3-5 buyers which allows us to sell your Denver business quickly and quietly, and for a higher price and better terms. Unlike other mergers and acquisition professionals who charge $10,000 to $50,000 or more before they attempt to sell your business, we typically charge no up-front fees. We earn a commission upon closing the sale. WE typically do NOT charge up-front fees. We get paid WHEN YOU close the deal. The goal and interests between the business owner and broker are completely aligned. You’ve worked many years to build the business! If you are thinking of selling, Doesn’t it make sense to spend 1 hour to explore how we can help sell your Denver business faster and for a greater sales price than anyone else? If you are thinking of selling your company, you need a professional advisor in the Denver area who specializes in the sale of middle-market businesses. Company Brokers, a Denver Business Broker, has this experience. We seek a maximum value by creating a controlled business auction environment. We always use the “1-broker” approach to preparing your business for sale and selling it. With other firms you may have too many point people or “cooks in the kitchen” convoluting the process. With CBG, you are 100% assured to start with 1 person and work closely with that SAME person throughout the entire process. You may have spent 10 or 20 or 30 years building value in your business. Don’t you owe it to yourself and your family to maximize the sales price and terms that you ultimately get on the sale of your business? This may be the largest check you get in your life for selling the most valuable asset you own. Make it count! We value and sell businesses in the entire Front Range of Colorado including Denver, Aurora, Littleton, Lakewood, Golden, Centennial, Parker, Castle Rock, Colorado Springs, Pueblo, Boulder, Longmont, Loveland, Fort Collins, Greeley, and all mountain cities and towns including the western slope of Colorado. We are excited to visit you either on-site of off-site anytime, anywhere that is comfortable for you.